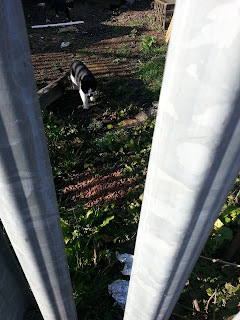 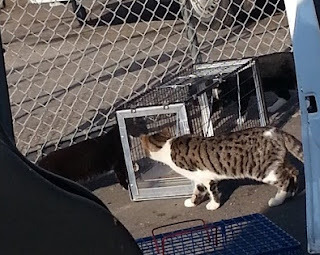 Cat Rescue Volunteer Everyday Ramblings: Cats Protection Wear Valley & Darlington helping feral cats! 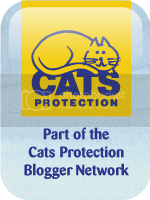 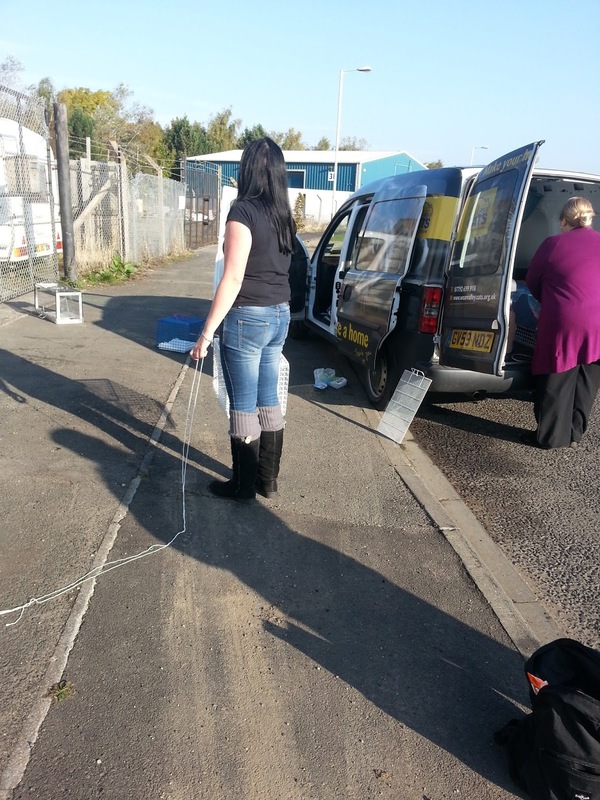 Cats Protection Wear Valley & Darlington helping feral cats! 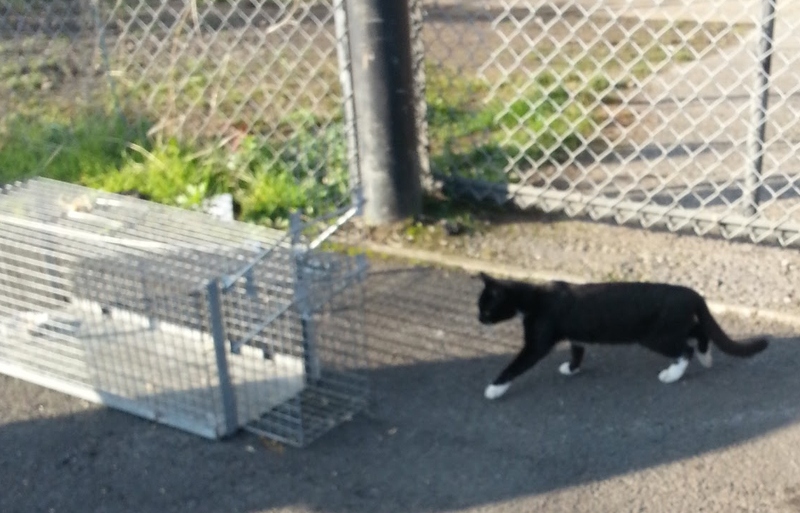 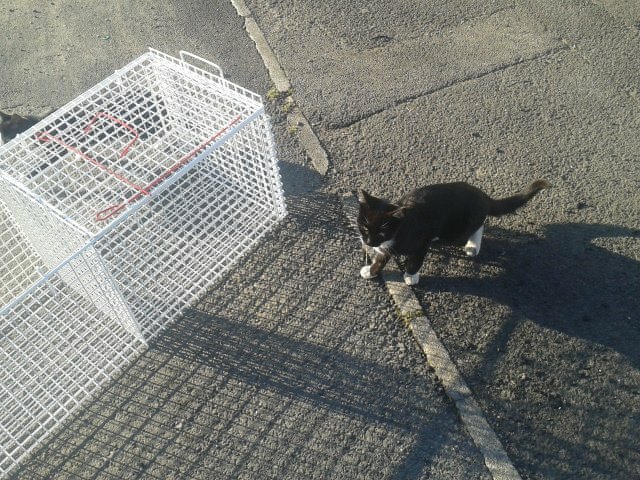 One of Skip kittens finally caught thanks to dedicated volunteer Emj and the lads working on site. 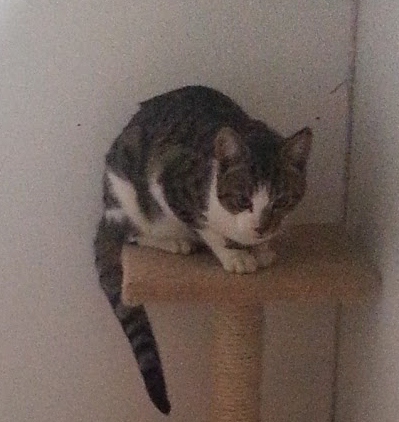 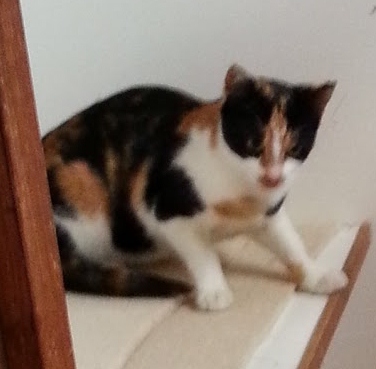 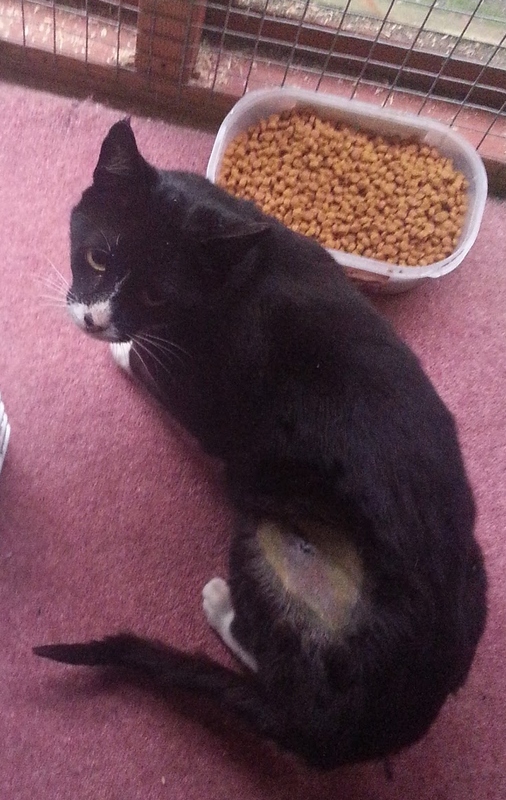 Sadly no sign of other kitten but steps taken to save as soon as spotted again. 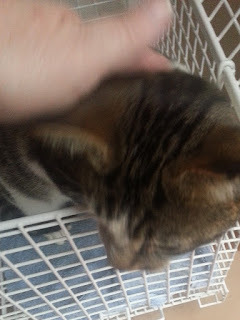 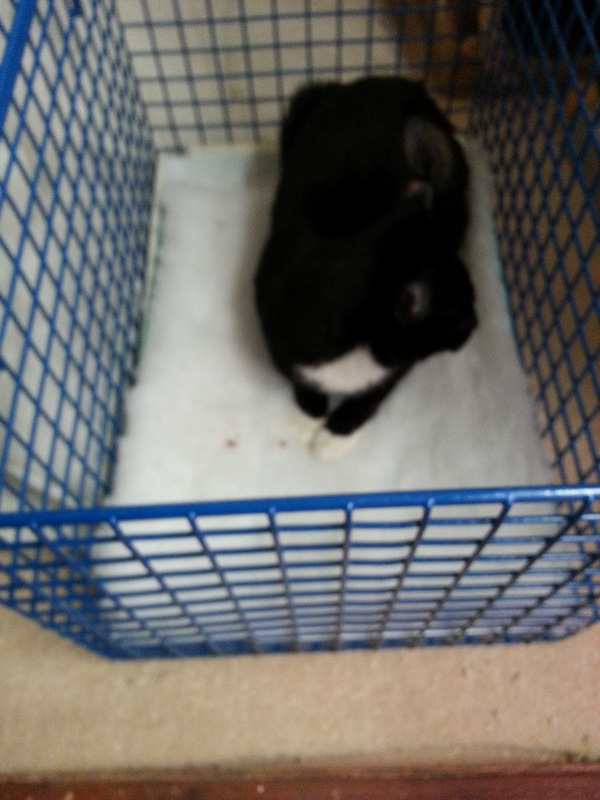 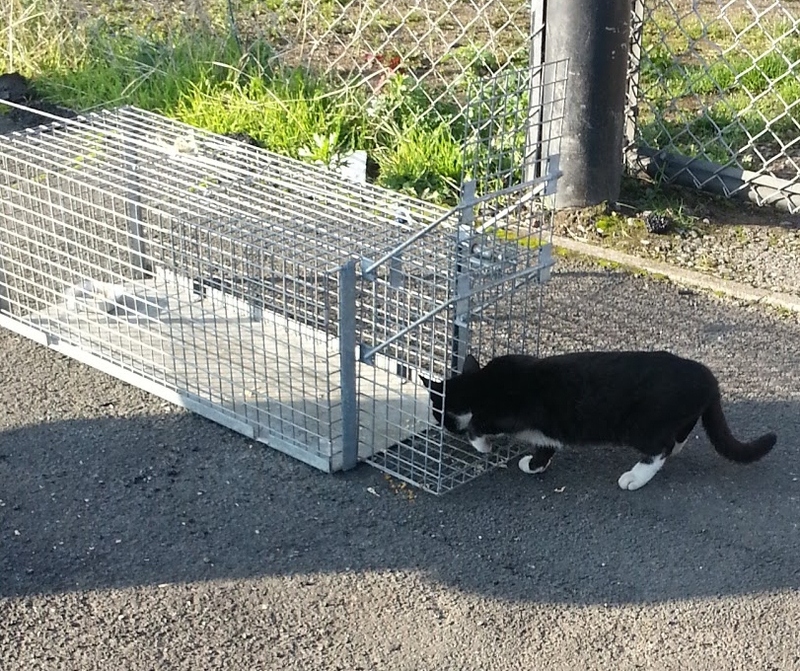 young Feral tom now neutered ready to be relocated. 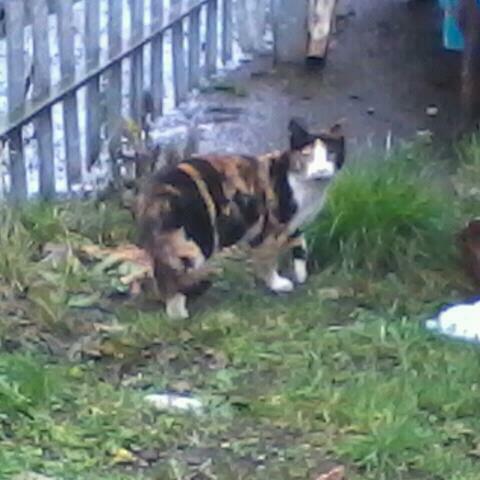 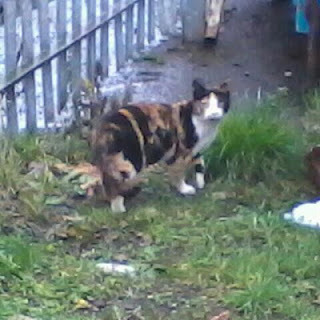 Was with Emj this morning at site trying to get skip kittens when we saw this beauty we hadn't seen before not pregnant so probably nursing a litter . 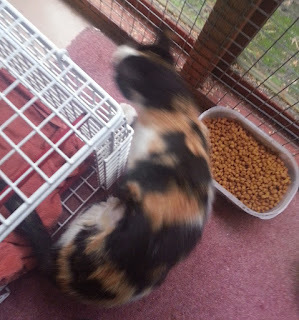 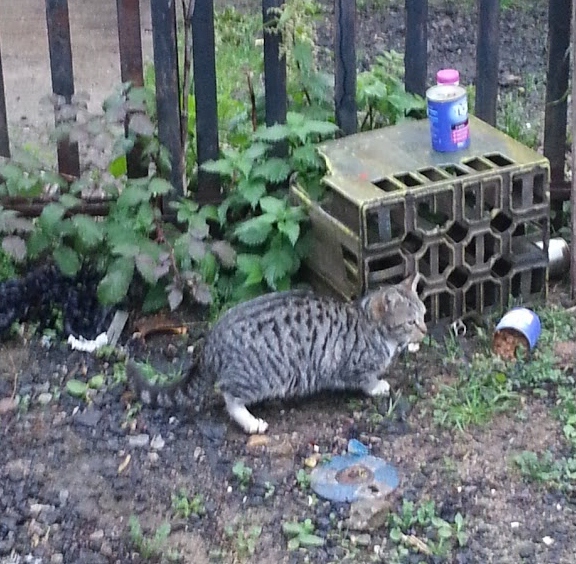 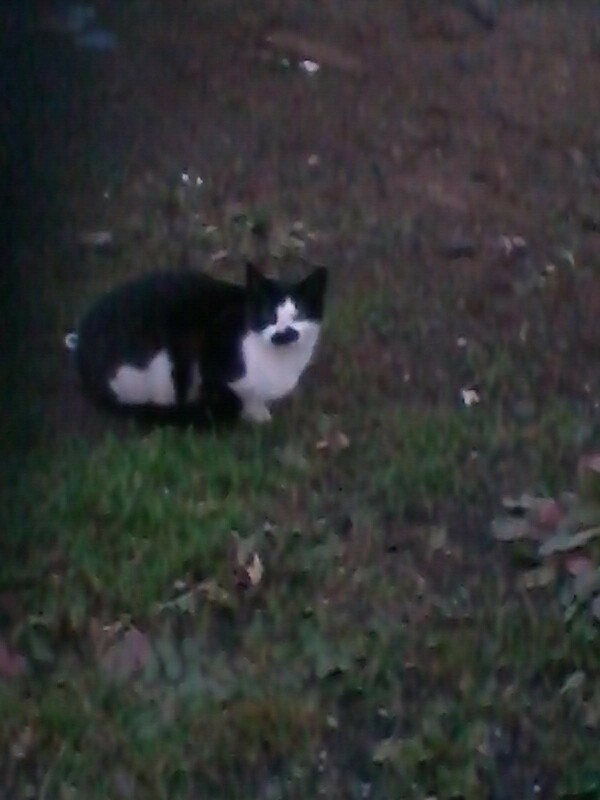 She snook up behind us and was helping herself to an open tin of cat food I had put down :-) we got pics but don't want to catch yet until we find her nest of kittens we have been told she was seen pregnant a couple of weeks ago. 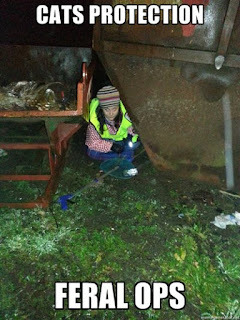 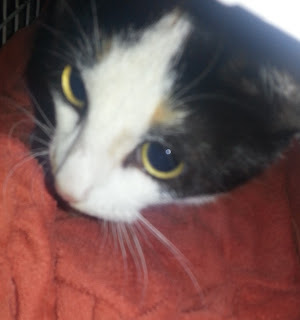 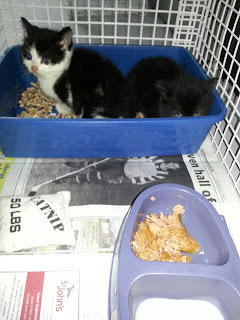 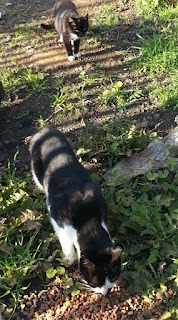 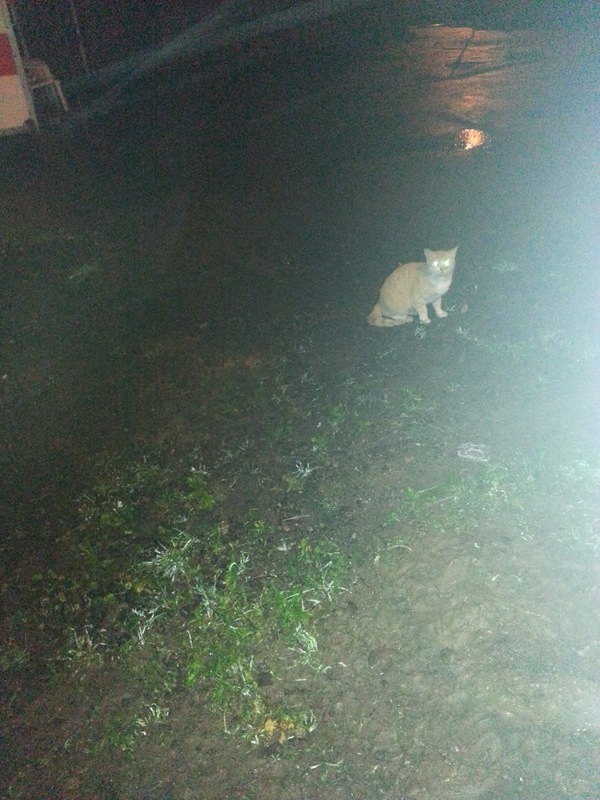 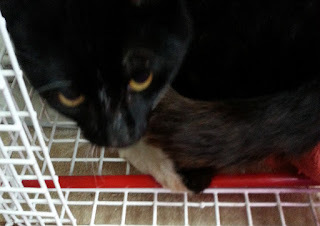 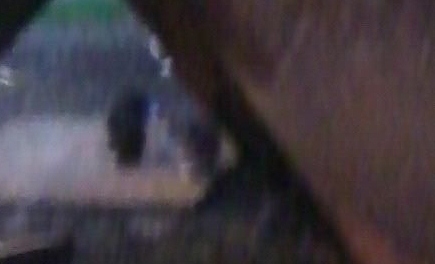 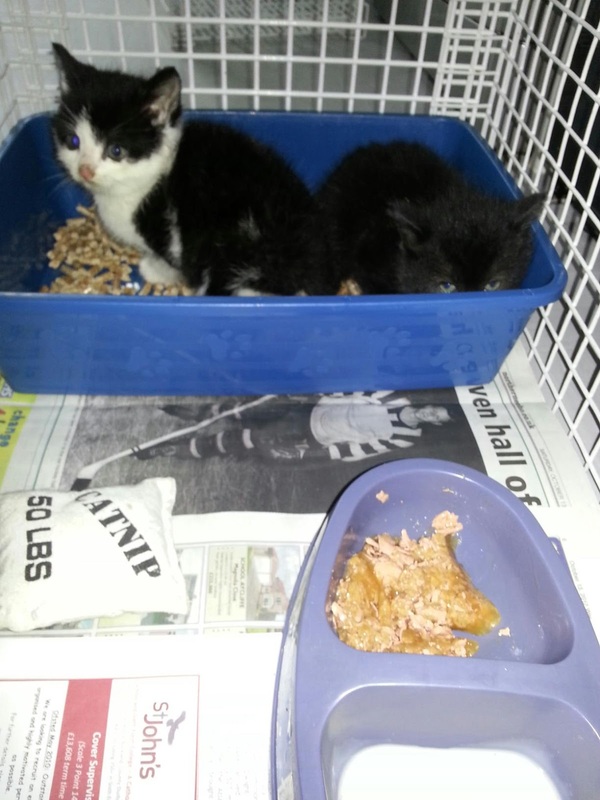 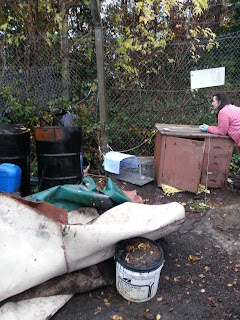 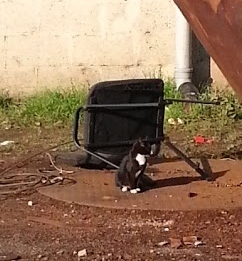 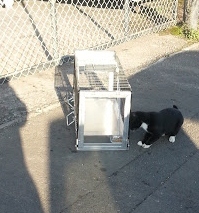 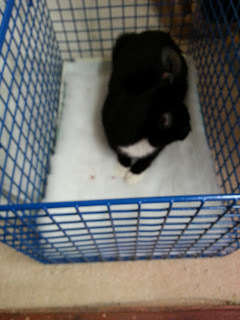 Update 23/10/2012 kittens were inside the cabinet which was covered with the carpet an tarpaulin now on ground. 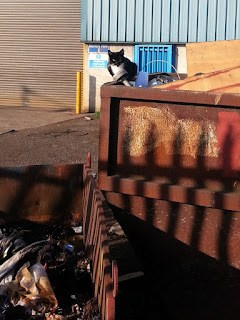 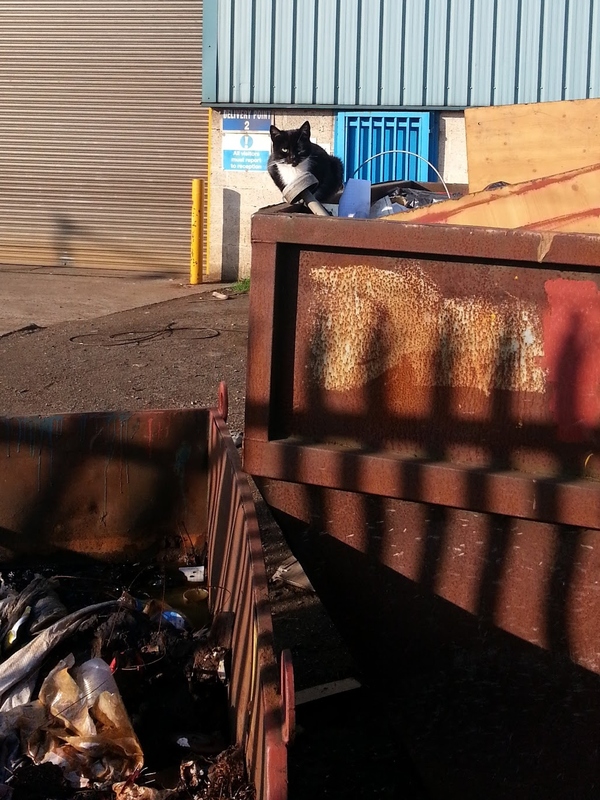 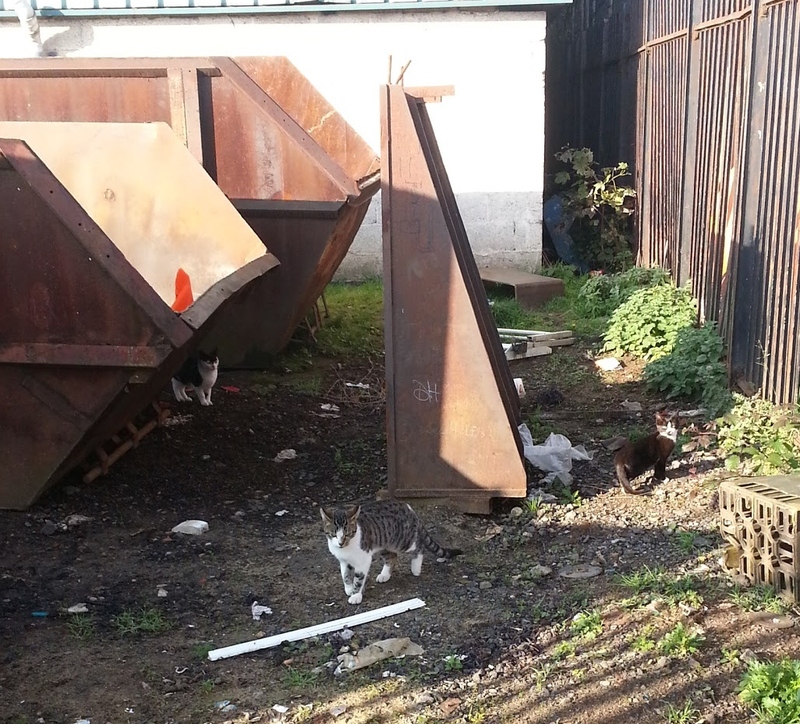 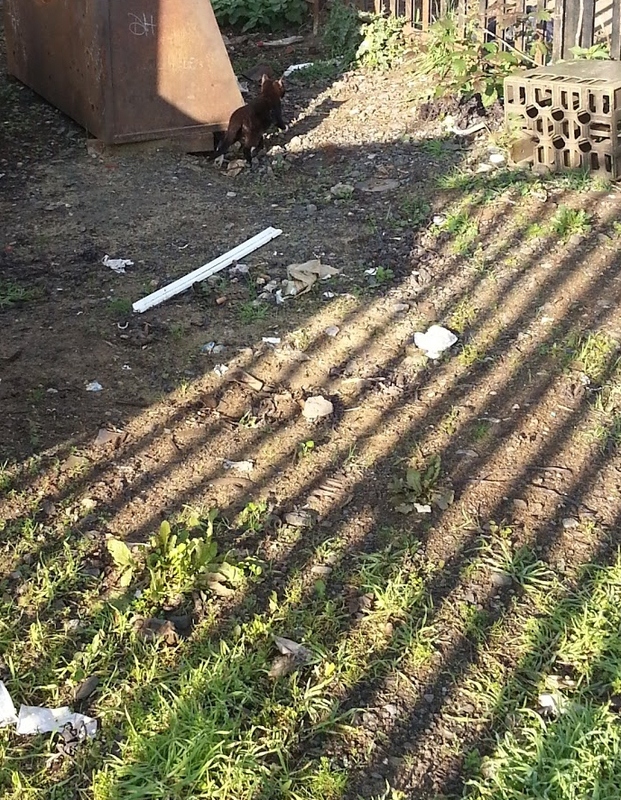 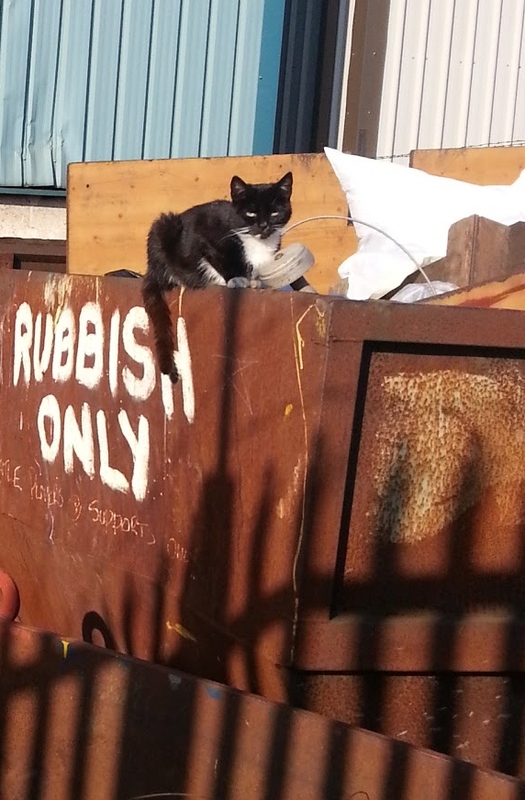 two tiny kittens are in this skip we must get them soon, back tomorrow in daylight. 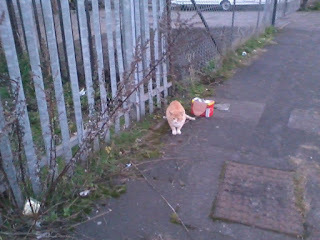 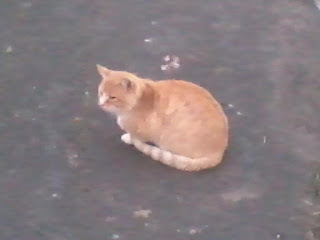 Dont look so smug ginger we will be back for you too. 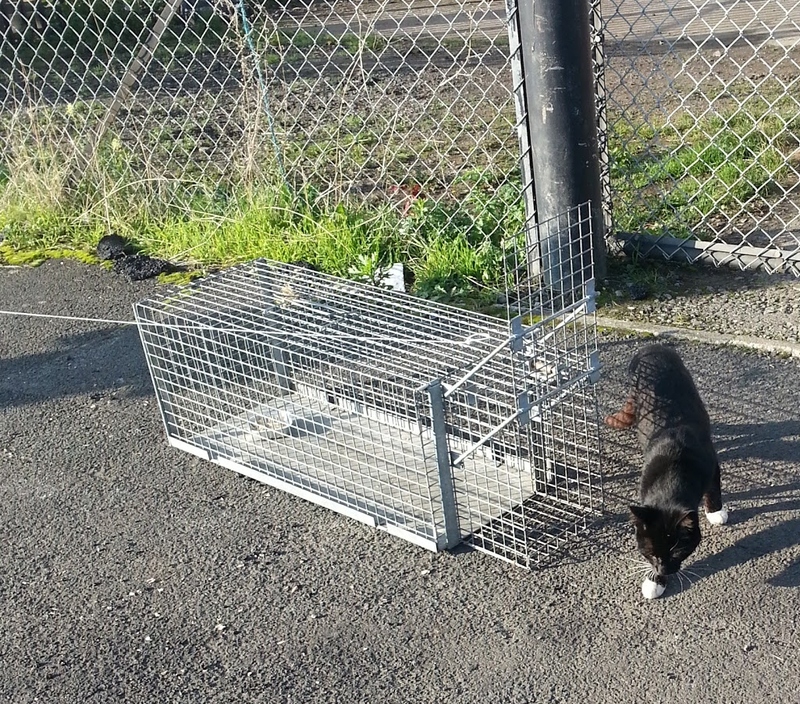 Sadly there are more and more feral cats on our streets than ever before, despite all the trap neuter return work we do there is a huge problem in our area. 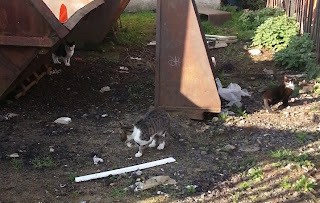 Recently we have seen a surge in starving ferals, whereas once they were fed by locals now they aren't and there just isn't enough food for them in hunting and they are destined to a slow agonising death from starvation, a starved feral hasn't the energy to hunt. 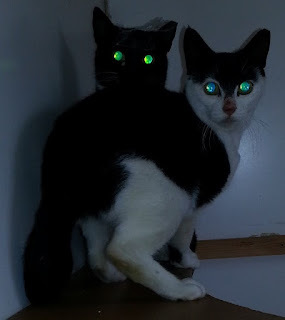 We need your help to provide food for these ferals, I know we are always asking for help such as food for kittens and food for cats in care and am sorry to have to ask for even more but even the cheapest supermarket dried food would help feed these ferals. 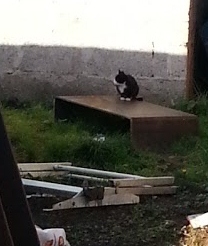 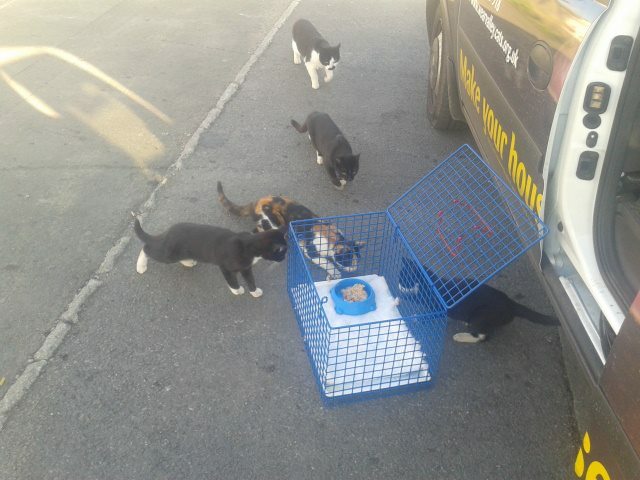 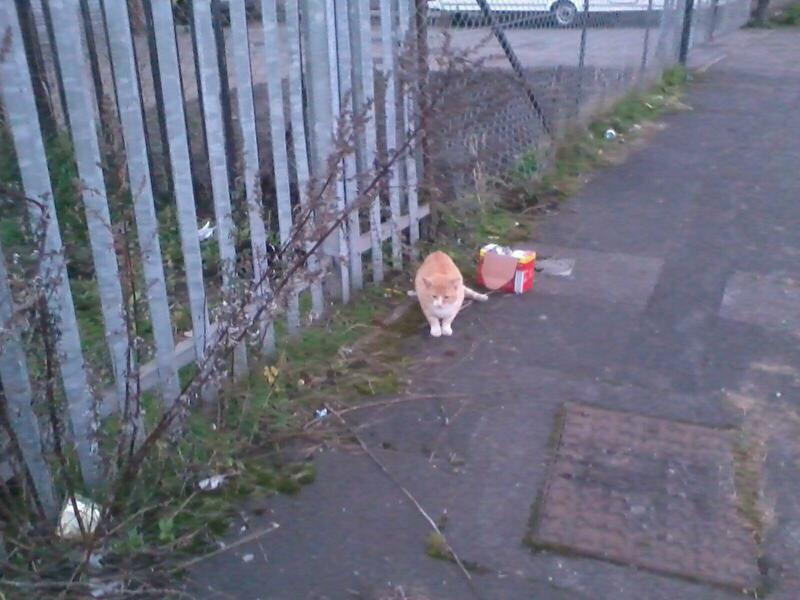 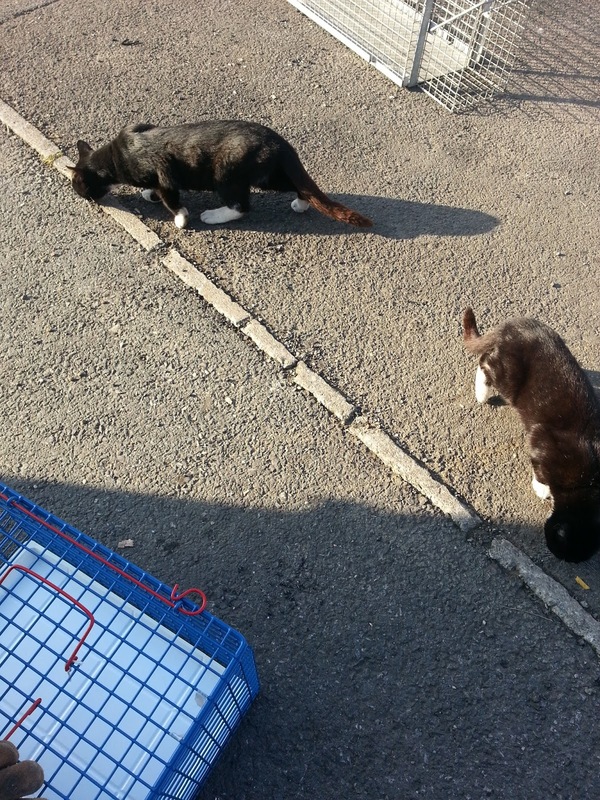 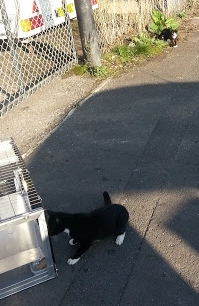 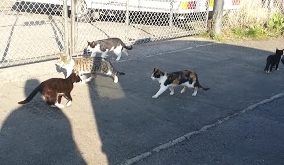 It breaks our volunteers hearts to hear as we did today of a colony of 15 plus cats at an industrial estate in Darlington who used to be fed by business owner but now aren't and are gradually getting more and more skin and bone, we are going to provide some food but cant promise indefinitely without your help! There are colonies like this all around our area who are asking us for help! 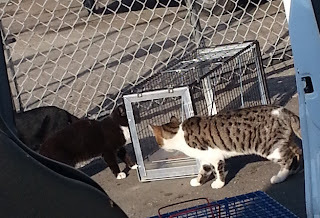 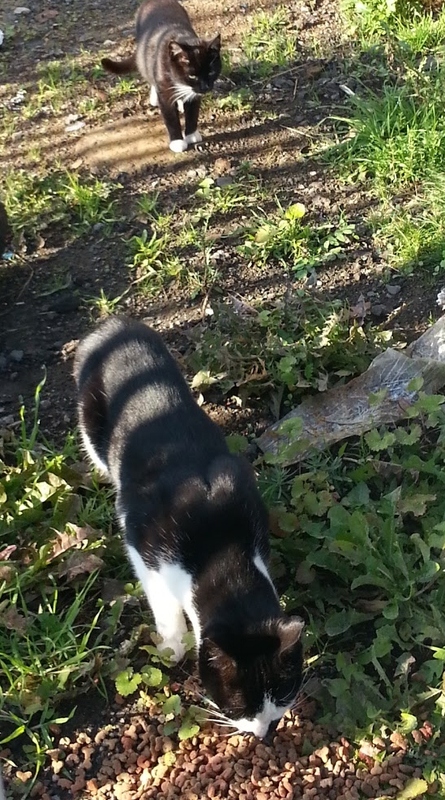 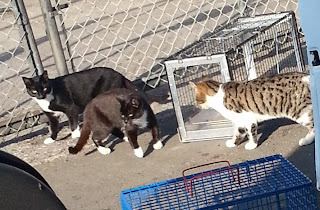 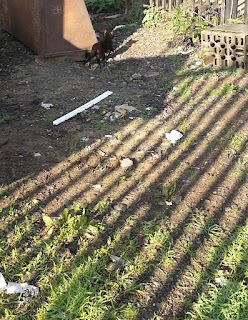 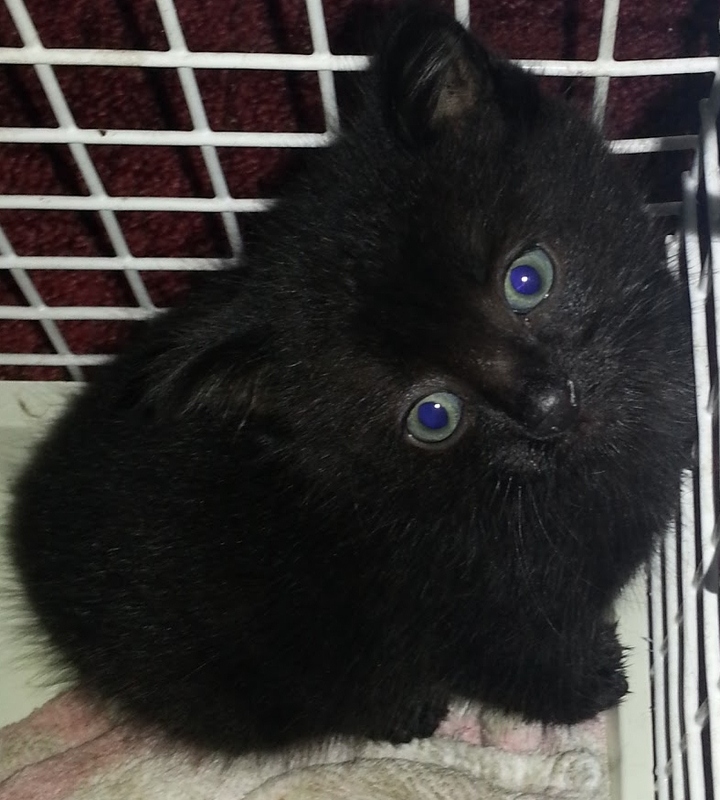 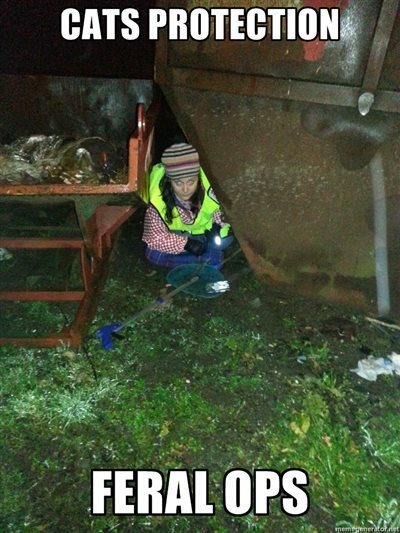 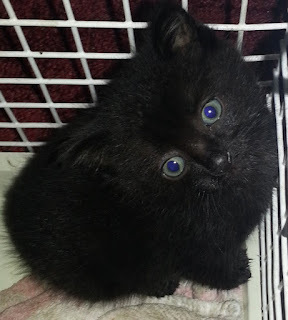 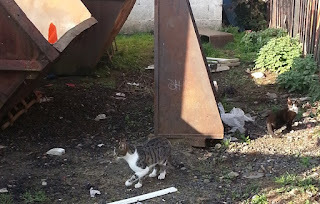 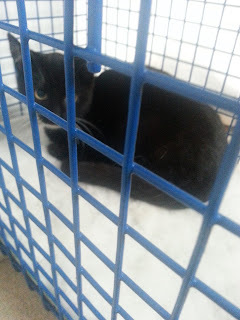 We are constantly neutering as many ferals as people trap but more and more people cant be bothered too trap and take to vet for neutering then return and instead just want rid, they think starving them will make them go away but these ferals have nowhere to go. 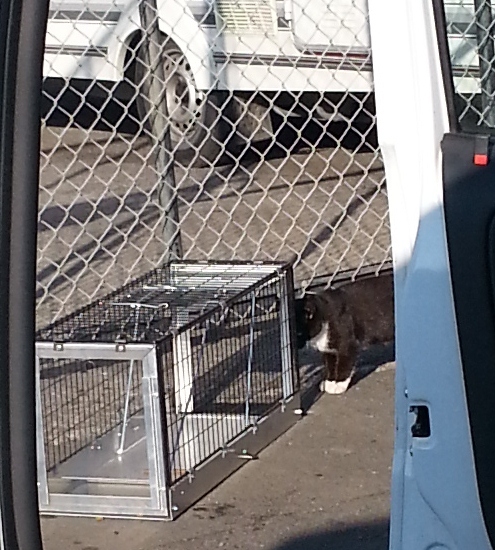 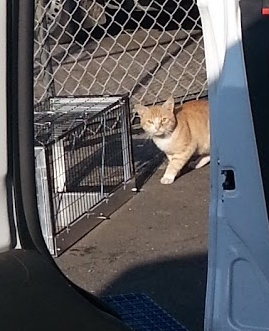 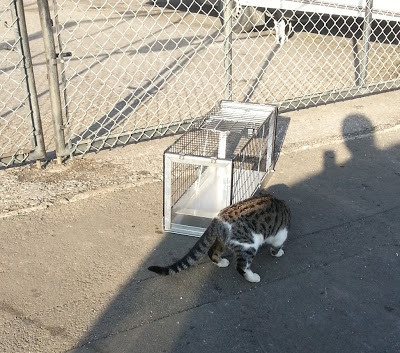 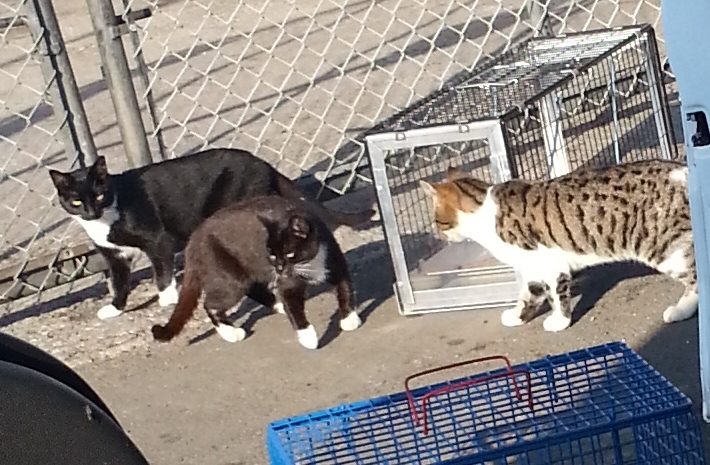 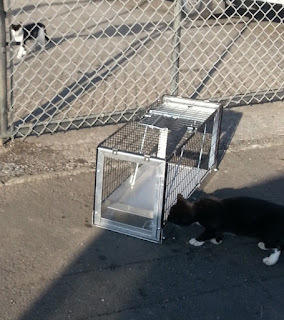 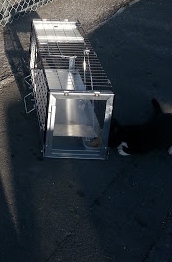 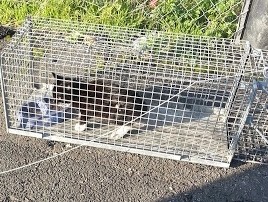 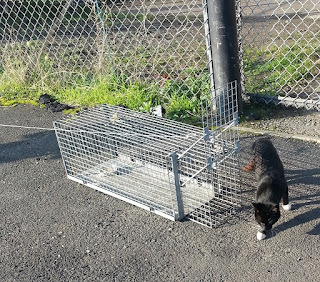 Trap Neuter Return is the only proven and humane way to deal with feral cats.